We have posted several blog posts about the advantages of polyolefin shrink wrap over PVC shrink wrap. PVC shrink wrap is a versatile shrink film that should be considered for a variety of applications, but polyolefin shrink film is a superior product. We are now offering a selection of polyolefin shrink bags. These bags are often had to find. Centerfold Polyolefin shrink wrap rolls are the most common form of polyolefin products available on the market. The centerfold rolls are ideal for high speed machines and large to medium sized shrink wrap applications. We offer all of our centerfold polyolefin rolls at very competitive prices. The polyolefin shrink bags are great for smaller operations looking for a more efficient way to seal and package a large variety of products. Most smaller shrink wrap operations only have an I-Bar sealer. 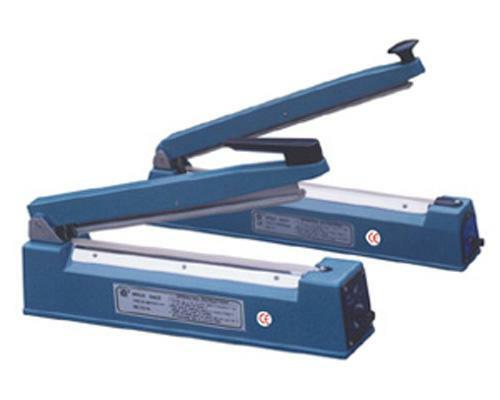 The I-Bar sealer only offers one sealing side as opposed to a more expensive L-Bar sealer that offers three sealing sides. The one sealing side on the I-Bar sealer makes it time consuming for users to seal the three open sides on a centerfold polyolefin shrink wrap roll. A shrink wrap bag is the perfect option to increase efficiency for users using an I-Bar sealer. A shrink bag only requires one side to be sealed. Along with increased efficiency, polyolefin shrink bags open up a larger selection of products that can be wrapped. Unlike PVC, polyolefin film can come into direct contact with consumable food products. Bakeries and other food producers can now quickly and efficiently wrap and package food products. Visit our online store at www.uspackagingandwrapping.com to view our selection of polyolefin shrink bags. Call us at 1-800-441-5090 if you have any questions or would like to place an order.